← Time to Grow Up? How we perceive people and situations can be distorted by our own preconceptions and, especially, by the condition of our hearts. What our “starting point” is makes all of the difference in how we see things. Are you seeing clearly? Spiritual Near-Sightedness — It’s all about me. I’m not focused on others. What matters to me and to my ministry is what is most important. Others should see it that way too. Spiritual Far-Sightedness — I can see everyone else’s faults, but never my own. It’s easy to see what others are doing wrong. If they could just see it too, then things would be so much better for all of us, especially for me. Spiritual Astigmatism – I see people with a distorted perspective. Instead of seeing people for who they are and where they are, I see them as challengers or as weak or as not useful. I fail to recognize people as wonderful creations of God, instead seeing looks, money, power, etc. My main thought is often: what can they do for me? Spiritual Protective Goggles — I’m always afraid to be involved, open, honest and vulnerable. I play it safe in relationships and in ministry. 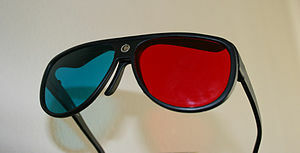 3-D Vision — Jesus saw things perfectly. No one could see things as perfectly as Jesus did and does. He saw people and situations from a holy perspective. He had that kind of vision because he saw the world through a lens of love. Love Is a Decision — Jesus chose, intentionally, to love. In fact, love is the highest goal and the best decision. “Go after a life of love as if your life depended on it – because it does!” (1 Corinthians 14:1). Make conscious choices to love people. Love Is a Demonstration — Don’t just pretend to love people, actually love them! Love is an action and must be demonstrated. Isaiah 58 reminds us that the kind of fasting that God desires is not one that is “fake” and all for show. Instead he says that our sacrifices to Him are to be about feeding the hungry, clothing the naked, speaking up against injustice, housing the homeless. Note that all of those things are the basic NEEDS that we all have (food, clothing, shelter). Isaiah wasn’t just saying those are the only things we should do; he was saying that ALL needs for people should be addressed in a way that is sacrificial and pleasing to God, i..e, in a loving way. Love Is the Difference — If I am not motivated by love, everything else is just noise, like a clanging symbol or a creaking, rusty door. (See 1 Corinthians 13). Credit: A lot of this post was gleaned from a devotion given by Pastor Mike Breaux at the 2012 NACC Continuation Committee Leadership planning session. Thanks, Mike! This entry was posted in Christian Life, church, Observations and tagged God, Grace, Isaiah, Jesus, Religion and Spirituality, team, teamwork, wisdom. Bookmark the permalink.